Kalasalingam Academy of Research and Education, Virudhunagar has advertised in THE HINDU newspaper for recruitment of Junior Research Fellow (JRF) jobs vacancies. Interested and eligible job aspirants are requested to apply within 15 days from 26th August 2018. Check out further more details below.  About College: Kalasalingam Academy of Research and Education (KARE) formerly Arulmigu Kalasalingam College of Engineering was established in 1984 by the pioneering Kalasalingam Anandam Ammal Charities. Located at the pristine foothills of scenic Western Ghats, the college obtained the Deemed to be University status in 2006. The Institution has been serving the society for thirty four long years and it caters to the needs of the students from all walks of the society. KARE offers UG programmes, PG programmes and Ph.D programmes. How to Apply: Interested & eligible candidates are requested to send bio-data with all supporting documents within 15 days to the following postal address or email address. Reference: Advertisement on THE HINDU newspaper Dated 26th August 2018.